Ben Franklin is attributed to the saying, 'Believe none of what you hear and half of what you see.' I was thinking of this after having a conversation with several of my respected colleagues. While it is very common to deal with unrealistic sellers' expectations reflecting markets past, we are now seeing more and more of first time buyers making unrealistic low-ball offers amounting to discounts of up to 40% on well maintained properties that are COMPETITIVELY priced for our current LOCAL market! Or, we encounter the buyers that constantly insist on looking at properties that are way beyond their means. They are pre-qualified for $500,000 and truly believe they will be able to purchase a $1,000,000 home for half the price, despite what might be our very best efforts to explain the facts to them with current comps in hand. And, they get quite offended when their low-ball offer is completely ignored by the sellers many times blaming lack of response on their agents. And all of this, because they keep hearing from the national media and pundits that housing prices have to fall even further, for whatever reasons...or, at a local cocktail party what great deals 'so and so' is getting on their ever-growing real estate portfolio! Hence, my reference to Ben Franklin's advice. As real estate professionals we are bound by duty to put these offers through and almost every time they'll go nowhere, with no counter offer or any other response leaving us cringing at the thought of what other seasoned agents may be thinking and eventually we lose our disappointed, unrealistic buyers unless we finally succeed in educating them regarding our local real estate market. I pledge to always take the time to educate you about your target market and your ability to purchase before you start looking at your first property. That is my job as a real estate professional. You should expect no less of any other real estate professional. Have a terrific week and keep dry! I think that everyone would agree that surrounding yourself with good people is one of the best ways to assure that your business runs smoothly and everyone's expectations are met. I'd like to tell you a little bit about one gentleman that we count on to make sure our clients are getting the best lending products available for their needs. His name is Brian Just and he is a loan officer with Century Mortgage Company. 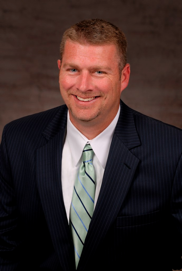 Brian has been with Century Mortgage for fourteen years. Prior to joining Century Mortgage, he obtained a marketing degree from the University of Louisville and has had management experience with United Parcel Service. Brian has consistently been a top producer with Century Mortgage and has a long list of satisfied clients. He is extremely professional and confidential. He stays up to date on all the latest lending products. He is thorough in his explanations and gets our clients to the closing table in a timely manner. He works the way we like to work---in a professional, personal and accessible manner. We can count on him to take good care of our customers and he is one of our top 'go to' guys for our customer's lending needs. We are very thankful to have such an excellent professional partner like Brian.